David and Robyn Foot have always believed that life in the African bush is a family affair. Our journey through Africa over the last 45 years has led us to Botswana, a vast country of endless wilderness and some of the highest concentrations of wildlife to be found anywhere on the continent. There is so much to explore and many adventures ahead. 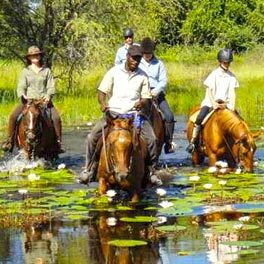 We are enthralled to be able to call the Thamalakane River our home, to be riding through the huge pans that dominate the centre of Botswana and to regularly venture into the Okavango and other wildlife rich areas. 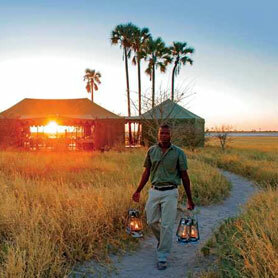 3 night horse riding safari at Jack’s Camp in the dry season in the Makgadikgadi Pans and the Kalahari Desert. 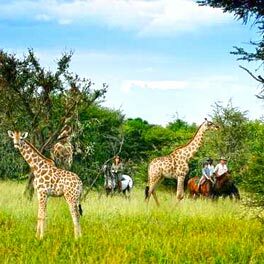 3 night horse riding safari at Jack’s Camp in the green season in the Makgadikgadi Pans and the Kalahari Desert. 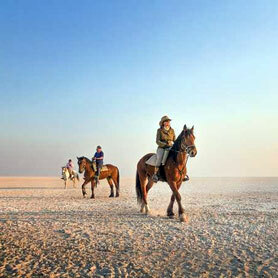 3 nights horse riding in the dry season in the Makgadikgadi Pans and the Kalahari Desert. 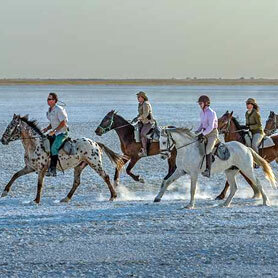 5 nights horse riding in the dry season in the Makgadikgadi Pans and the Kalahari Desert. 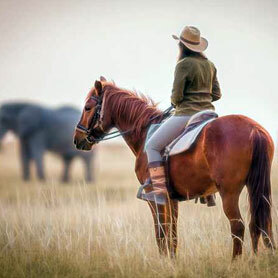 3 nights horse riding in the green season in the Makgadikgadi Pans and the Kalahari Desert. 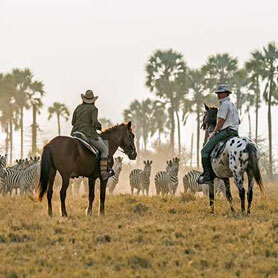 5 nights horse riding in the green season in the Makgadikgadi Pans and the Kalahari Desert. 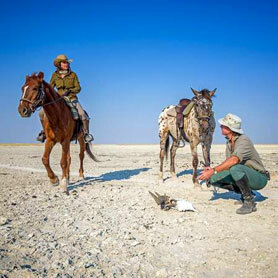 A 3 night canoe trail along the Selinda Spillway followed by 5 nights on horseback in the Makgadikgadi Pans. 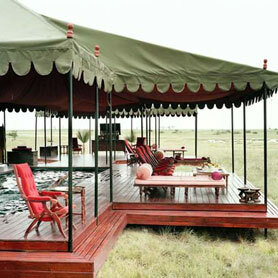 There are ten stylishly appointed en suite safari tents, two honeymoon chalets and swimming pool.